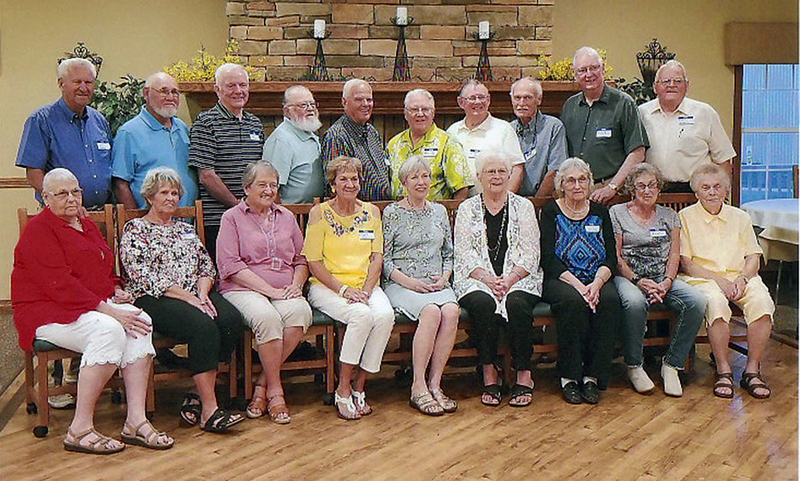 The 60th Reunion for the Arcola High School Class of 1958 was held at the Kaskaskia Country Club on Saturday, September 1, 2018. Patti Jo Ellison Shepard, Nellie Perkins Koontz. Back row: Lyle Johns, Bert Fidler, Doug Mullikin, Marion Cothron, Norman Strader, Alden Nay, Larry Foltz, Jim Clark, Pat Monahan, Larry Kearns.